Mobile first design and build for large UK airport. Mobile first approach to large UK airport. London Luton Airport is going through a massive period of change, with £110 million being invested into the terminal. As part of their growth project, the airport has been rebranded, which also meant that they required a new web presence. 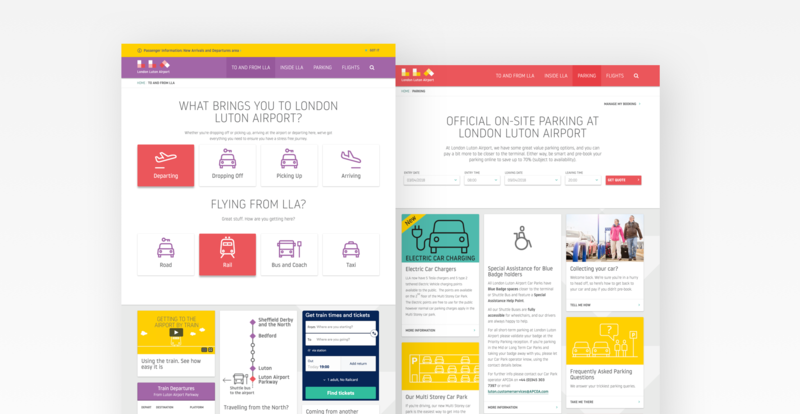 Working alongside London Luton’s brand agency, Ico, we produced a set of design principles based on Google Material Design. I also used Pinterest to collect visual preferences to serve as a mood board to demonstrate the design approach to the client. Following a prototype, I designed the website in browser to help demonstrate transition and animation. I built the front end of the site, producing a HTML pattern library, and I worked alongside back end developers to achieve the best possible solutions to any design challenges. Finally, I assisted in content population and CMS training with the client ahead of launch. Due to the scale of the project and the client, there were multiple stakeholders involved throughout the project. This worked well, in that it ensured that management from throughout the airport were happy with the end result. 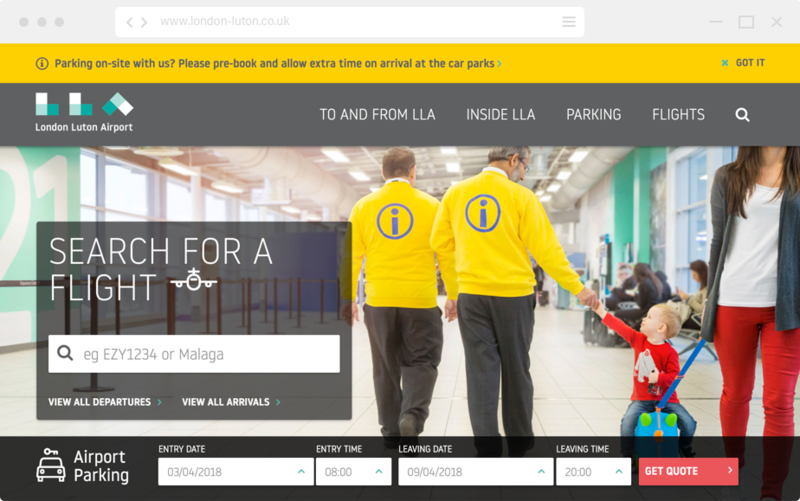 London Luton also has a significant set of brand values – simplicity, welcoming, creative and unconventional – that had to be followed when designing the site. This made for a different design challenge, but a very interesting one! Check out the website: www.london-luton.co.uk.